(Valencia, SoloAzar Exclusive).- Ramón Monrós, Founding Partner of Italtronic, a consultancy specializing in gaming, spoke exclusively with SoloAzar during the last edition of Expojoc. “We are always very happy to come to Valencia, because it is a small fair but where the main operators of Spain come from”. What did you present in this edition of Expojoc? In this edition of Expojoc we are accompanying two of our clients: one that is an Italian ATM company, called VNE, and that presents a range of products for the world of betting, be it land-based or online, be from the machine for the recharge of online bets to the machines to pay bets within the premises, the machines to recharge and pay, and also the terminals to place bets. This is a part of your business, and the other is the cashiers for the gambling rooms and for casinos, for what it is to pay for the tickets (ticket-in, ticket-out), etc. A third leg of what is the product of VNE is the Automatic Cash, which is for retail, for bars and bakeries, is a smart drawer; automatic. That would be the range of products presented by our VNE client. Then we are with another client called Multi Lottery and we are talking about a terminal for VLT with tablets, which can be a terminal to play casino games. You choose a tablet, put money in the terminal to recharge the tablet and you can play the casino, roulette, etc., always inside the room. The moment you move away with the tablet, it would stop working and, inside the address of the room, an alarm would appear that there is a tablet that is disappearing. We are also implementing in this same system what are the sportsbook systems for a sports cafe, where they will also have the tablets to be able to place their bets from the tables. How do you see this edition of Expojoc? We are always very happy to come to Valencia, because it is a small fair but where the main operators come from Spain and where it is very easy to do networking and find everyone; we all see each other. There is a social meal, there is an event to share, therefore, it is always a good opportunity to take advantage of. It must also be said that the cost relation is also quite contained. A good fair for us. What opinion can you give us of the Spanish market with respect to all the products that you market? We have had the good fortune to enter the betting market in the Andalusian market that has opened now, where there are around 800 or 900 rooms and almost 500 terminals have been sold. We are very happy. Now we are dating new products. We have been trusted by the main groups, Codere, Sportium, Luckia, what else can we ask for? What plans do you have for the remainder of this year? Here in Spain we will go out with a new product. It is a product for bets in bars. We are presenting it here and this is a little novelty. And we already want to prepare for next year, for the edition of Fer Interazar in Madrid, and we already have an intense agenda because we will also be in G2E Las Vegas. 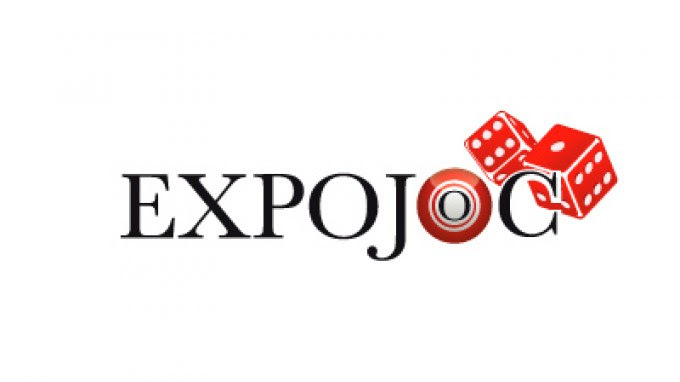 Expojoc is the 1st Game Congress Expo organized in the Valencian Community. Conferences, debate, analysis, ideas and networking bring together regulators and entrepreneurs in this event organized with the collaboration of the Generalitat Valenciana.